The debut episode of a new Doctor is always an exciting event for Doctor Who, as the series is reborn in a new form just like its protagonist. There is always a mix of excitement about the changes that are coming, nervousness about whether they can live up to the show's long and storied past, and a bit of mourning for the previous Doctor who will be missed. And there is always a sense that the show can be anything, and could change in drastic ways. Doctor Who has completely reinvented itself several times throughout the last 55 years during its title character's regenerations, and the beauty of the series that has allowed it to last so long is that it always manages to both become something new and exciting, and to remain somehow quintessentially Doctor Who. The premiere of series 11 is without a doubt one of those complete reinventions; the biggest of them since the series first got its bigger-budgeted, modernized revival in 2005. 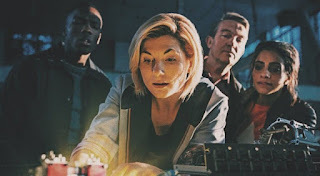 Of course, most notably this marks the first time that the Doctor has regenerated as a woman: not only a landmark moment for the series, but a very appropriate and important choice for the cultural moment that we are in, when a strong woman protagonist righting wrongs and fighting injustice is (forgive the pun) just what the Doctor ordered. But that isn't all: this is also the debut of a new showrunner who must make the series his own after the long yet divisive tenure of Steven Moffat. So, with such big changes both in front of and behind the camera, how does The Woman Who Fell To Earth do at kicking off a new era for the 37-season-and-more saga of the Doctor? In short, very well indeed. 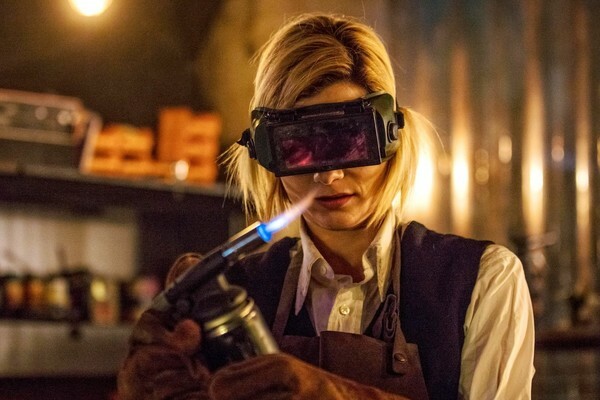 After eleven previous regeneration episodes, Doctor Who knows how to tell this story, and in his first episode as showrunner writer Chris Chibnall sticks to what works, while applying both his own personality and that of new Doctor Jodie Whittaker to that framework. This is the same basic introducing-the-new-Doctor framework that was perfected when Third Doctor Jon Pertwee took over from Second Doctor Patrick Troughton back in 1970, and while various introductory episodes have tried different approaches with varying results, this is pretty conclusively the perfect way to soft-reboot the series into a new era, largely because it is basically a skeleton constructed for the personality of the new Doctor and new companions to inhabit. It works like this: knowing that viewers are going to miss the Doctor whom they've known for the last few seasons and will take some time to warm up to the replacement, the premiere doesn't start from the perspective of the new Doctor, but through the eyes of the new human companions who we initially get to know as audience-identification characters. Then we are able to get to know the new Doctor at the same time our freshly-established supporting characters do, facilitating a less jarring transition to the new character while also giving the new Doctor a solid group with whom to develop their own chemistry and personality. This generally happens against the backdrop of a not-too-elaborate alien invasion plot which is strong enough to be solid introductory story, but simple enough to leave the script time to focus on the characters and interpersonal dynamics, who are the real show. It works well as an adventure, but works even better as a showcase for the new Doctor-companion ensemble, as we get our first taste of what this era has in store. This certainly isn't intended as a criticism, suggesting that these introductory episodes are too similar; far from it. After 55 years (on and off) of Doctor Who existing as a sci-fi saga, it has simply figured out the perfect way to build a new world and establish a new central cast while easing the viewer into the reality that yes, this is different than what we are used to, but yes, it is also definitely the series that we love. 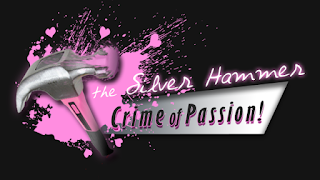 It's an archetypal storytelling method which allows the writer to showcase what they're going to bring to the table in terms of character, wit, atmosphere, and personality. Sure, it generally means that a new Doctor's first episode won't have the greatest story in the world in a standalone sense, but it also means that the new Doctor will get plenty of opportunities to make an impression and show us why they are worthy of the name. 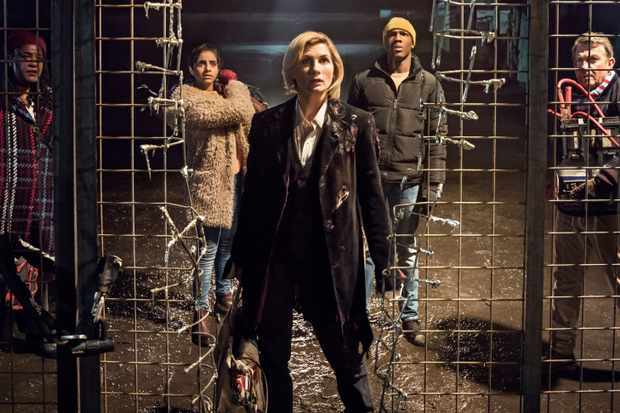 Jodie Whittaker certainly does that: after a gradual set-up that first introduces us to her soon-to-be-companions (chiefly Tosin Cole and Mandip Gill), she quite literally drops onto the scene with a series of brilliant moments that really show us why she was a great choice in the role. As the first woman to play the Doctor, it should be no surprise that she is bringing an energy and a presence to the role that is very much her own, but she is also very clearly the Doctor, right from the start. There are instantly recognizable (but not overpowering) personality traits like the manic, excitable speech patterns of David Tennant and Tom Baker, and the awe-struck, sensitive whimsy of Matt Smith and Peter Davison; she clearly has drawn from the well of the various ways that the Doctor has been played in the past, so we get that sense of a through-line of personality connecting the regenerations. And of course, just as instantly recognizable is the core philosophy of kindness, optimism, and humanism that always defines the Doctor. Yet she is also very much making the role her own, bringing a unique energy that never feels derivative of past Doctors despite being in some ways informed by them, and she takes full advantage of the fact that, as the first woman to play the Doctor, she has great freedom to figure out exactly how the Doctor would be as a woman. But beyond all of that analysis and talk of Doctor Who lore, she is also just extremely fun and charismatic as the Doctor, striking that wonderful balance of adventurousness and humor that defines the character at his or her best. While her vision of the Doctor is certainly still forming (as the character herself says), she is already excellent in the role. Her companions are off to a strong start as well: while the usually large number of characters in this episode doesn't allow us to get to know any of them too well yet, they make a very strong first impression, with Cole and Gill having strong chemistry both with Whittaker and with each other. It seems pretty clear that they will be a very strong TARDIS team. The script features some pretty excellent speeches from Whittaker's Thirteenth Doctor which speak to the nature of the show itself. 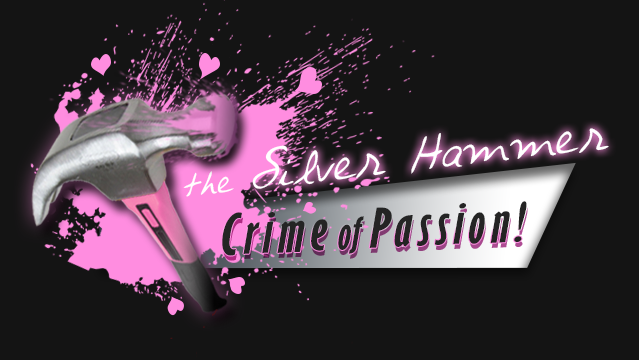 Her soliloquies about evolving into new versions of yourself and choosing what sort of person you want to become absolutely seem to address the ways in which the power of the series lies in its ability to change into new, bold, and interesting things, and seems to refute the sexist bashing that her casting received from certain corners of the fandom. These words from the mouth of the Doctor herself remind us that change has always been at the core of the show, and that the Doctor should be the sort of hero that her particular time needs; and right now, with this new season premiering just a day after Brett Kavanaugh's confirmation to the Supreme Court, and in the midst of the ongoing reckoning of the Me Too movement, the hero that our time needs is definitely a woman. This first episode will make those of us who have been eagerly awaiting her debut cheer, and also is more than purely Doctor Who enough to convince any skeptics that her casting was definitely the right call. And while it will take something a bit more narratively unique than the classic, archetypal regeneration story for us to really see what Chris Chibnall has in him as showrunner, the first impression that he gives is quite positive as well. The Woman Who Fell To Earth is a very strong debut for what appears to be a promising era of Doctor Who featuring an excellent new Doctor. I can't wait to see what Chibnall and Whittaker can accomplish now that they have introduced themselves; next Sunday cannot come soon enough. Don't let us get lost in time and space - share our review!